Sometimes, I wonder in a state of melancholy and utmost sense of sobriety, If Kwarans just haven't learnt a thing about how we got here or history wasn't just among the in-things in this state. This, perhaps, explain why we haven't been able to learn, unlearn and relearn, subtly plan and strategize how to get freed, evolve and grow to the point desired. This may explain why we remain victims of tales and propaganda as a result of the past left unchecked. But then when I think further, I realise retelling this past might be a timely intervention in saving this state that forgets from another four years of misrule, inept leadership, sterility and underdevelopment by another political son of Kwara 's Lord. Maybe, just maybe, we will learn this time. If not for unforgivable forgetfulness, tell me, how could we as a people, have forgotten so easily, the haunting effect of vilifying tales, defamatory rumours and libelous propaganda on our wrong collective political decisions in 2003 & 2015 respectively? O ye forgetful people, for the sake of avoidance of such an avoidable mistakes at this political point, I should take you down the memory lane. In the run-in to 2003 Kwara Gubernatorial elections between the incumbent Governor, the beloved Late Col. Muhammmed Alabi Lawal and Dr. Bukola Saraki, the suave, young, urbane, America- returnee son of Late Dr. Olusola Saraki, the Kwara political leader and old friend of the former Colonel. The state was politically tensed and charged with the people divided, carefully watching whether the status quo would be maintained or maybe, the pendulum will swing. Those who were not privy to the drama, intrigues and power- play that characterised the pre - 2003 elections would agree that both parties were well poised but as the incumbent, Col. Lawal had a slight political edge. This was only so until the propagandists set to work! They began a revolution of emotions and sympathy , when the thugs clashed and paid with the ultimate price with lives, cutlass bearing the insignia "Up Lawal'' would be dropped there. They started painting Lawal in bad light. Omo Laderin was set against the kingship, he was said to have wanted to remove the king! The end was as bad as what we all heard. Can you get the gist there? They were able to master the nature of emotions and made it the undoing of the beloved. In no time, the man of class became a person of crass! Sadly, almost same thing happened in 2015, if not more grievous. 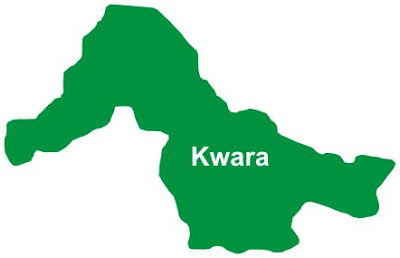 After infiltrating the camp of the opposition to select the weakest candidate, Kwara political maesro hammered the last nail to the coffin of doom. His propagandists set to work. They began playing the cards of religion and ethnicity. To them, having a Christian governor was an abuse, a sacrilege, a desecration of the Islamic knowledge, prominence and proficiency of Ilorin, the capital of Kwara State. As usual, it worked. The people bought the ruse without pricing it. And Kwara became a prey to the tigers again! Unsurprisingly, they have began again. Surprisingly, they have started very, very early. Perhaps they are aware the harder victory would become. They almost have more paid propagandists, tales bearers, beer parlour historians and self- opinionated Indomie political analysts floating lies and propaganda to destabilise, disorganise, disarray and dismantle the opposition yet another time , perhaps, more than their entire fans and supporters. Like me, they must have discovered, Kwarans might not have learnt a thing. These people are good at what they do. They have identified the strongest, most formidable, inimitable candidate(s) and about turning the people against him. They have made a thick fabric of tales and propaganda to be forcefully tied around their necks. In the meantime, while they battle to exonerate themselves, they move on planning, plotting how to win, plunging the state to another four years of servitude . In 2003, it was Colonel Lawal. We had the misfortune with Sen. S S Ajibola in 2015. This time around, they have their eyes set on Lukman Mustapha . These tricky, cunning and deceptive manipulators might have done their political mathematics and realized a tough nut the man would be. They must have knew defeating LOM could be next to impossibility in a fair contest, hence the recourse to that old, accursed way! But have Kwarans learnt their lessons yet? Are they even aware, there's a lesson to be learnt? Do Kwarans know yet that it's mere tales by the rumor mongers that LOM is a Saraki stooge? Do you know yet, dear reader, that LOM's radio station, Sobi FM is often antagonising the Ahmed-led- Saraki-Fourth-tenure? Do you know LOM never sat with Saraki one-one alone? Do you know LOM never collected a dime from Saraki and never did they had any personal deals other than strict banking business as FCMB South West Regional manager? Do you know now that they were all lies and propaganda to weaken hi resolve? They know, just like you, the threat he could be to them. But they know, unlike you, that they could stop that by turning you against him. Now you might have known. But sadly, several people might not just be aware that the LOM- Saraki connection was just a lie by the paid media ants to soil his name like they did to others in the past. But then, these evil people might just be playing the emotional cards against LOM having realised Kwarans have not learnt their lessons yet! Should we let them vilify our Messiah yet again? Ibraheem Abdullateef writes from Ilorin.